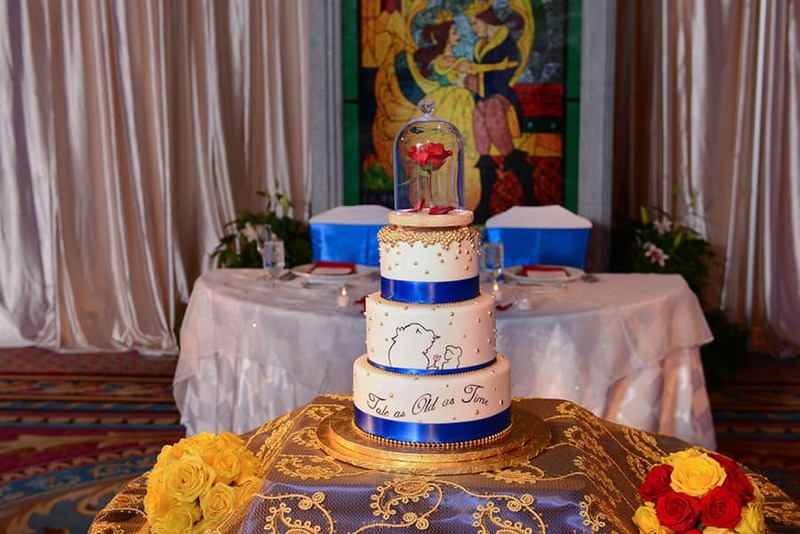 Tale as old as time, song as old as rhyme... you can't help but sing the classic tune while looking at today's cake inspired by one of our favorite Disney films, Beauty and the Beast. 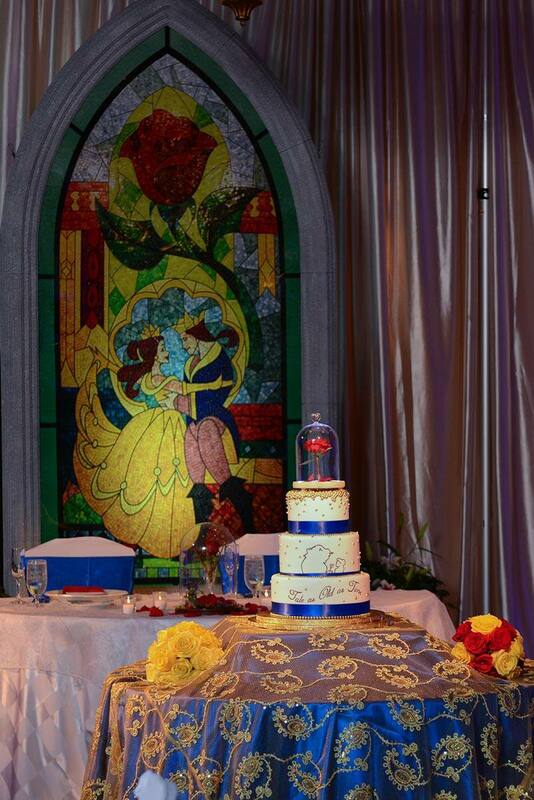 This sophisticated design incorporates all the iconic elements from the ballroom scene, from the delicate hand piped silhouette of the couple to the blue and gold accents. 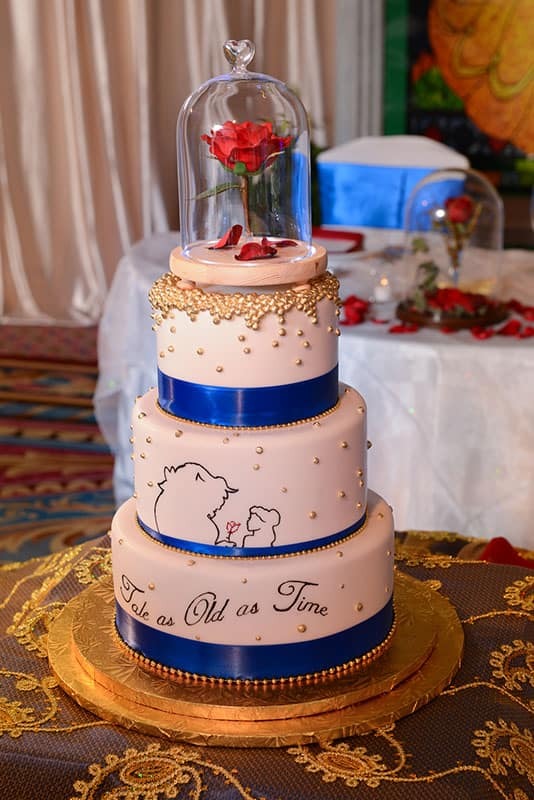 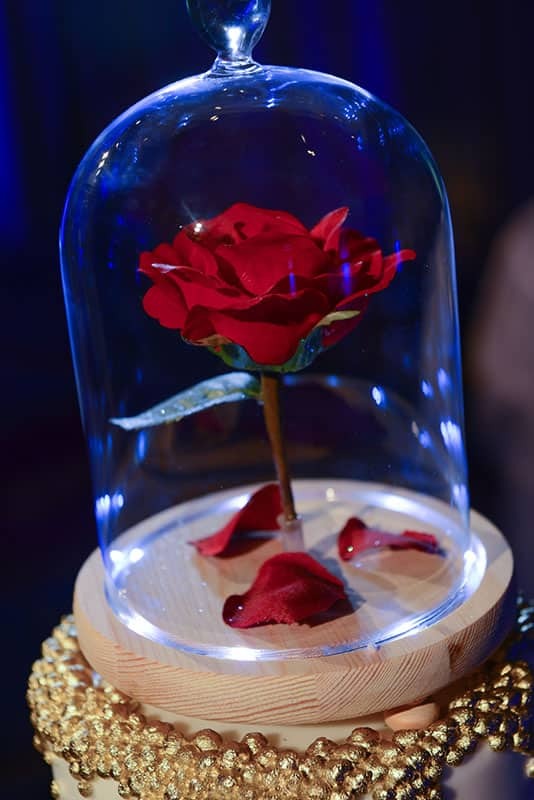 An Enchanted Rose adorns the top tier completing this timeless design and making for the perfect storybook cake.